Can You Really Make Money As A Wedding Officiant? Everyone needs an ordained minister from time to time. But what you probably didn’t know was that these ministers do not need to belong to any mainstream religion to perform wedding ceremonies. They can also make pretty decent money if they find the right niche! But can you really make money as a wedding officiant? That’s what we’re here to talk about! If you love weddings, and if you love being in the spotlight, then this could be a pretty cool side hustle for you! It might seem a bit wrong to ask for money to officiate a wedding. But contrary to popular belief, ministers (even the small time, non-denominational type) actually make pretty good money officiating weddings! In modern times, mainstream religious ministers are less in demand than ever… and more and more people are turning to ‘less traditional’ minister types to get their wedding certificates signed. I actually experienced this not too long ago. I went to an artsy burlesque show at a local rock-and-roll venue, and saw a couple get married on stage by woman who was an ordained minister… and she was pagan! It was literally a pagan ceremony at a rock venue, on Halloween, at a horror-themed burlesque show. Yes, yes, this was maybe the coolest wedding I ever witnessed… but in talking to the minister after, I was legitimately surprised to hear how often the minister told me she officiated weddings. As it turned out, her ‘pagan minister’ niche was quite popular, and she did quite a few local weddings every year. She also wore goat-horns to this particular wedding event. I’m not sure if the horns were for Halloween or for the pagan ceremony. But either way, it just served to make me more aware of how non-traditional weddings are becoming. But with non-traditional weddings, couples also need non-traditional Officiants… and that is where you could come in! How Do You Become A Wedding Officiant? The list of official qualifications to become a wedding officiant varies state by state in the United States. For example… in Arizona, licensed or ordained ministers, pastors, or clergymen of recognized religious societies can perform them. In Arkansas, ministers must have their credentials recorded in one of the 75 state counties to be considered ‘qualified’ to perform a wedding. In Montana, you need to be an ordained or licensed clergymen… or a justice of the peace. But… a common theme among most states is that it is pretty easy to become a clergyman (or clergywoman). It is also pretty common, in at least most states, to be able to do so without spending much money. You would need to check with your local laws to see exactly what is required to become a wedding officiant. But in most states, you have quite a bit of leeway to get ‘non-traditional’ with it, which is where there is money to be made. Some ministers in some states can even get ordained online! How Much Money Can You Make As A Wedding Officiant? This actually depends A LOT on who you know and what circles you network in. The more ‘nontraditional’ you get, the more ‘niched down’ you will become… which is generally good from a business perspective. There are a lot of ministers who make between $300 and $500 per ceremony. You can usually charge more if there is a rehearsal. This usually also includes a meeting with the wedding party before the ceremony, to discuss plans, vows, etc. If you are inexperienced, relatively unknown, and/or are just trying to get your foot in the door, you can expect to make a bit less… closer to $100 to $200 per ceremony. It may not sound like much, but it is actually pretty easy money if you don’t mind being in front of people. 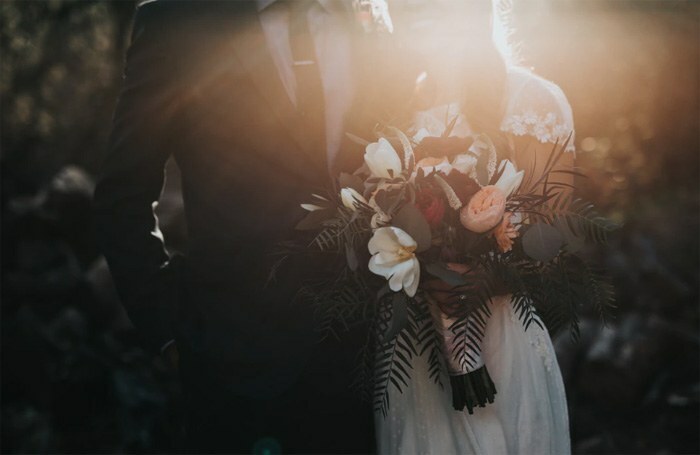 This is also a very important event for the people involved, which means that as the officiant, you have a lot of responsibility resting on your shoulders to make it a memorable experience. If you are not altogether keen on the idea of having that kind of pressure on your shoulders, or if you are not the kind of person who would enjoy officiating weddings, then this is likely not the right type of side hustle for you. But for those with the guts to go through with it, this could actually be a money-maker! Plus, it could be a lot of fun! There are upsides and downsides to every side hustle—and this one is no different. With that being said, we went ahead and compiled a list of some of the most obvious pros and cons. How Much Does It Cost To Become A Wedding Officiant? The cost to become a wedding officiant is usually centered around a fee. In some states, this fee is as low as $11 or less… while in some states, it is more expensive (sometimes around $100). It is actually pretty cheap, all things considered. The process of becoming ordained is usually pretty simple too. For example… in this article, you can read the story of a social worker who got her ordination in about five minutes, for free, through the Universal Life Church Monastery. But… it is not always as easy as it looks. For example… in certain parts of certain states, local regulations do not recognize online ordinations! Before agreeing to officiate any ceremony, it is a very good idea to check with local laws and regulations to see what the requirements are. It is important that you make sure that you actually have the authority to officiate a wedding before doing it. Performing the ceremony is not the only official part of the process. You also need to oversee the signing of the marriage certificate and act as an official witness to it. This is a pretty cool side hustle idea, though I do feel like doing it just to make extra money may not work out like a lot of people think it will. You would have to be at least kind of passionate about it. You would also have to be ready and able to perform all of the responsibilities that come with the job if you really want it to work out. For example… if you agree to act as officiate at the wedding, you cannot just cancel at the last minute if you don’t feel like doing it. This would be a huge problem for the marriage party, and would end up giving you a bad reputation. If people can’t rely on you, they will likely not book you for their ceremony. Being reliable is just one important aspect of this business. But, with that being said, this side-hustle could also earn you quite a bit of cash on the side… especially if you decide to serve a niche market. As we talked about earlier in the article, you may have to start out doing ceremonies for either very cheap, or even free to get your foot in the door. But the good news is that once you get started, you should be able to pick up quite a few ceremonies in your market. This isn’t the kind of side hustle that will make you rich. But it is the kind of side hustle that you could do in your extra time, have fun with, and make some pretty cool extra money with. In fact, if you stick with it, enjoy it, are good at it, and market it well, you may even be able to increase your earnings with it enough to do it full time! It may not be for everyone… but if you love weddings, this could be the perfect side hustle for you! Should you really try to make some money as a wedding officiant? Thanks for bringing this to your readers’ attention! I’m an active, professional wedding officiant and enjoy the heck out of it (https://danhenkelofficiant.com/ or https://www.facebook.com/DanHenkelOfficiant/). COMMIT and PREPARE! Once you agree, you’ve got to come through for your friends/family. Take time creating the ceremony with them, thinking through all the logistics and rehearsing. Consider asking a professional officiant to help you. For a fee, s/he can help create the ceremony and prepare you for the wedding itself. Nothing beats experience, but a pro can bring those years of experience to the wedding you’re to lead. Think about it–this is the wedding itself! You probably wouldn’t trust your friend with a camera to get those once-in-a-lifetime shots, or a wannabe florist to come up with stunning designs. If you’ve been tapped to officiate, embrace the role and hit it out of the park! Awesome info and resources Dan. I appreciate you taking the time to comment and help others get started in this profession/side gig.